The yearly tag tournament is arguably the lowest heavyweight tournament on the NJPW totem pole, well below both the G1 Climax and New Japan Cup. The difference of a tag tournament versus singles is certainly the top reason for this indifference but placement in the year—late fall/early winter, when most everyone is counting down the days to Wrestle Kingdom—doesn’t help either. Regardless of your thoughts on the tournament’s importance or worthiness, each tournament produces a handful of worthy matches, intriguing storylines and notable moments. In this preview (of sorts), we’ll go over each team in the tournament as well as the most intriguing matchup for each team. I’ll also predict who I think will win the tournament and earn the chance to vie for the IWGP Tag Team Championships at Wrestle Kingdom 11. Let’s start today with a look at the A Block. The biggest surprise of this year’s tournament is the inclusion of Breaker & Race. 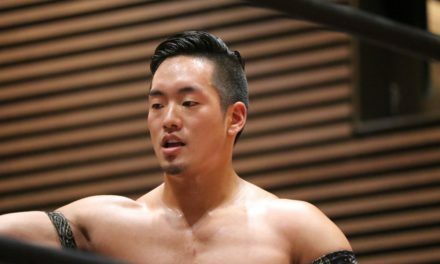 Newcomers to NJPW, Breaker & Race both have Japanese wrestling experience under their belts as the two toured Pro Wrestling NOAH: Breaker in 2011 and 2015, Race in 2010 and 2013. Race is the son of wrestling legend Harley Race and has become almost exclusively a WLW for the last three years. WLW, of course, being his father’s company. What these two can bring to the table isn’t really known. They could bomb tremendously or just as easy shock us all with consistently great outputs. We were able to avoid the Yujiro stink in this year’s G1 but not Tag League, hey, can’t win them all. Yujiro’s transition into Godfather cosplay pimp persona hasn’t seemed to affect his work at all — it’s still awful. Hangman Page will have to do a lot of the carrying for his team and, given their opponents in the A Block, it won’t be an easy task. How can you possibly get excited about any matchups involving this team? 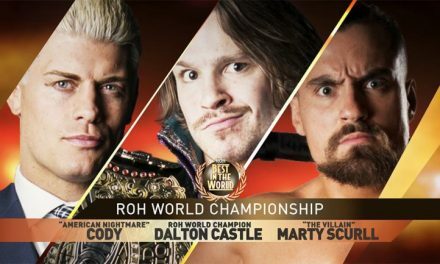 The monsters of Ring of Honor’s tag division find themselves in their first-ever World Tag League. Fun fact: This will be the first Tag League for a Hanson since Swede Hanson teamed with Andre the Giant in the 1983 MSG Tag League. War Machine have a chance to be the stars of this year’s A Block with a few exciting matchups on their horizon including tilts with TenKoji (Hiroyoshi Tenzan & Satoshi Kojima), Guerrillas of Destiny (Tama Tonga & Tanga Roa) and the fascinating potential of Tetsuya Naito & X (more on him later). For those who haven’t seen much of Hanson & Rowe, prepare to be wowed. For a little preview of what the duo is capable of, you should definitely check out their work in Pro Wrestling NOAH earlier this year, in particular their matchups against the Killer Elite Squad. Oh boy. Look, Nakanishi is fine. Sometimes he’s really entertaining. Sometimes he does stuff that makes us laugh. He can even turn back the clock every so often and surprise everyone with an athletic move every six months or so. He’s teaming with Henare, who while more experienced than your average young lion, only has a handful of NJPW matches under his belt and is still a ways away from being a solid everyday contributor. This is going to be brutal. 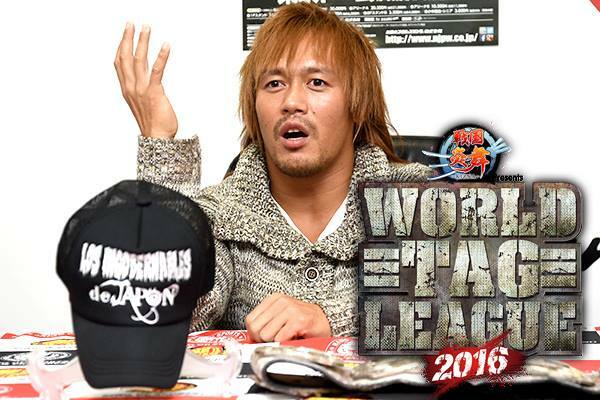 Tanahashi has had such an odd World Tag League career. Here are his partners dating back to his first tournament, the 2001 G1 Tag League: Kenzo Suzuki, Yutaka Yoshie, Koji Kanemoto, Tajiri, Hirooki Goto, Captain New Japan, Yoshitatsu, Michael Elgin and now, this year, the charismatic Juice Robinson. In recent years, Tanahashi has used the Tag League as a cool-down period before Wrestle Kingdom and I would guess this year will be no exception. Thankfully, unlike years when he teamed with the likes of Yoshitatsu, Captain New Japan and Kenzo Suzuki, Tanahashi can sit on the sidelines and still have a decent tournament as Juice is arguably one of wrestling’s most improved talents in 2016. Tanahashi’s teams are known just as much for their losing as they are mediocre matches but that could all change this year. Given the block and the current career trajectory of Juice, I wouldn’t be shocked to see them in contention for the Block title before falling just short (Tanahashi is already a little busy at Wrestle Kingdom). This year will mark the 9th time Hiroyoshi Tenzan & Satoshi Kojima have teamed up in NJPW’s annual heavyweight tag tournament. Overall, this will be the 16th appearance for Hiroyoshi Tenzan and 13th for Kojima. The tandem has won two tag leagues as TenKoji, with Tenzan adding two additional victories alongside Masahiro Chono and Osamu Nishimura. Not to be outdone, Kojima has three total tag league victories adding a title in 1998 alongside Keiji Mutoh. That these guys can still go as well as they have with the amount of matches under their belt is nothing short of amazing. Tenzan can’t go like he once did but he’s certainly capable of putting together great performances in short bursts. Kojima, well, he’s the youngest 46-year-old you’ll fine. Barely a step behind his peak, Kojima is capable of carrying this team single-handedly should that situation arise. It pains me they are trapped in the A Block where the capacity for great matches is low. Still, battles against the likes of War Machine, Tetsuya Naito & his mystery partner and even the Guerillas of Destiny have been very excited for their run. We’re a few weeks past NJPW Power Struggle 2016 and it’s still hard to believe… the Guerillas of Destiny not only had a passable match in NJPW, they had a great match. They had what might have been the Match of the Night. They had one of the best heavyweight tag matches in recent NJPW history. Pinch me. Now the question becomes, can they keep it up? Was it a fluke? DId they just get lucky because YOSHI-HASHI & Tomohiro Ishii were on the other side of the ring? This year’s Tag League will be the ultimate test. If they are able to get passable matches out of the likes of Page & Yujiro, Breaker & Race and Henare & Nakanishi they will have undoubtedly turned the corner. Should they regress back to their old selves… well, we’re in for a long tournament. 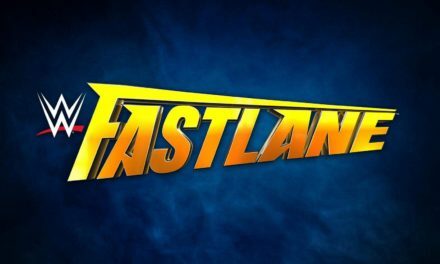 As reported by friend of the site, thecubsfan (propreitor of the fantastic luchablog.com website), all signs point to luchador Rush being Naito’s mystery partner. 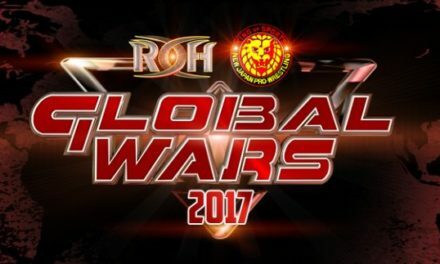 Rush was the most obvious choice from the beginning, given his ties to Los Ingobernables and his history with NJPW (Rush participated in the 2012 G1 Climax and World Tag League). Expect this duo to have a lot of fun throughout the tournament, even if their matches are up to expectations. Their character work should more than make up for any slacking off in-ring. If and when they do put their all into a match, there’s a very good chance they’ll make Match of the Tournament-level magic. 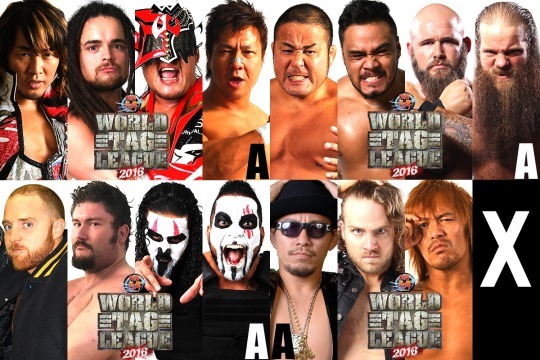 Check back tomorrow for a preview of the World Tag League B Block as well as my prediction for World Tag League 2016 winners.